Ali Ibn Abi Talib [RA] – THE “Wahhabi”! NOTE: This post will be updated from time to time to collect a biggest resource of evidences that prove that Ahl Al Sunnah are in fact upon the Madhab and Aqidah of Ali -radiyallahu anhuand that the Rafidah are nothing but Zanadiqa (heretics) who claim to follow him and in most cases even do the exact opposite. And it is no secret to ANY knowledgable Sunnah Muslim, how many times the Rafidah have mocked the Sunnah of the Prophet -peace be upon him- be it the the Siwak (traditional teeth cleaning twig), the garments/trousers above the ankle OR the famous LONG beard of the Sunnah Muslims (whom Rafidah call “Wahhabis” to demonize and disunite the ranks of the Sunnah). It’s not difficult to find them ridiculing the Sunnah beards, the practice of ALL Prophets, Sahaba and Ahlul-Bayt, the beards MOSES, JESUS and Ali himself (it is reported that he used to have one of the most EPIC beards amongst the Sahaba yet most Rafidah have a two-day-old beard), nay even their MAJOR scholars (“Ayatollahs”) do have MASSIVE (“Wahhabi”?!) beards, but it seems what is allowed for the Rabbi is not so for the sheep i.e. blind follower (exactly like the Priests of the orthodox church and the Gurus of Temples of other religions where the “SCHOLARS” distinguish themselves from the layman with a CERTAIN clothing (catholic priests) and long beards (Orthodox PRIESTS wear a long beards ONLY their followers don’t). Hence this post (with a banner on our banner list to be find easier) will – with the permission of Allah- deal with all the Sunnahs (and Aqidah) of Rasulullah that were STEP BY STEP followed by Ali Ibn Abi Talib, the Ahl Al-Sunnah and IRONICALLY (after all they CLAIM to follow him ALI!) completely abondened by the Rafidah, wether their laymen OR their scholars. It is well known that the scholars of the Rafidah went to such extremes with the Ahlul-Bayt that there might be not one Islamic practice spared without including the Ahlul-Bayt in it. They are quick in accusing the Ahl Al-Sunnah of “Bi’dah” (true sounds like an oxymoron, a Rafidi calling something Bid’ah) and in the case of the Adhan they claim that the line “As-Salatu Khayrum-minan-nawm” (“prayer is better than sleep”) is in fact an innovation of Omar -radiyallahu anhu-! Needless to say that (as usual) ALL the narrations they bring to prove that Omar Al-Farooq invented this line are NOTHING BUT WEAK and FABRICATED narrations and the truth is, that this line was >>approved<< by NO ONE ELSE than the Messenger of Allah -peace be upon him- himself. Now isn’t it funny, rather hypocritical that the very same Rafidah who accuse Omar Ibn Al-Khattab day and night with falsehood are in fact the one who invented a CLEAR-CUT Bid’a into the Adhan, yes we are talking about their famous line and THIRD part of the Shahada in the Adhan:”Ashhadu anna Aliyan waliyullah…” (I bear witness that Ali is the close friend of Allah). No doubt this statement is truth, but it is also truth that Salman Al-Farsi was a great Sahabi and friend of Allah, and according to the Muslims Omar as well. But no sane person, let alone TRUE follower of the Sunnah would add to the Adhan:”Ashhadu anna Omar waliyullah..” Imagine the Sunnah WOULD have done this, certainly the Rafidah would accuse us day of night of going to extreme with Omar, the Sahaba etc. This is what all of their “Marjas” (“Ayatollahs”) and the flaw couldn’t be more obvious, since if something is NOT part of the Adhan i.e. the Prophet, the Imams NEVER said it, then how can we add something to the Adhan, and on top of it call this ADDITION “MUSTAHHAB”? There is no justification for such a Bid’a and as you can see this is to what Rafidah Tashayyu (Shi’ism) leads, one Bid’a follows another and yet they have the nerves to accuse the Ahl Al Sunnah with Bid’a it’s just ridiculous. However, there are still some Shias who acknowledge the truth and as a matter of fact it was no one else than their MAJOR CLASSICAL scholar Al Sadooq who condemned the addition to the Adhan (“Aliyun Waliyullah”) as a BID’A, innovation, invented by the GHULAT. And as some of their scholars of the past said, things which are regarded as parts of the Madhab today (like Tatbir/smacking the head with blades, addition to the Adhan etc.) would had been regarded as GHULU (extremism) in the past. Unfortunately almost each and every Marja’ does not oppose those innovations and some who stood up against some of the heretical practices (like Tatbir, the belief of attributing Ilm Al-Ghaib to the Imams, the Shirki “Tawassul” of Ya Ali Madad, etc.) and were brave enough to speak out were accused of “Wahhabism” (like Ayatollah Fadhlullah who opposed all of three issues mentioned before). It is important to note that according to the Shia science of Hadith ALL the narrations suggestion a THIRD part for the Tashahhud in the Adhan are NOT authentic, so those Shias who seek the truth should at least follow their “authentic” narrations regarding the TRUE Adhan of Muhammad -sallallahu alayhi wa sallam- and Ali -radiyallahu anhu wa ardaah. Conclusion: Ali was upon what the SUNNAH Muslims of today are upon (BOTH didn’t add ANY third testimony to the Adhan), and those who CLAIM to follow Ali [RA], actually not just those who claim to follow him but even those who call themselves “Ayatollahs” and “scholars of the school of Ahlul-Bayt” are OPPOSING Ali and the Imams of the Ahl Al-Bayt. Ahl Al-Sunnah is Ahl Al-Bayt and Ahl Al-Bayt is Ahl Al-Sunnah. 2. 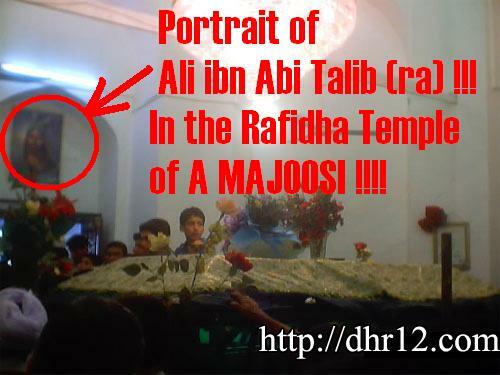 Ali’s [RA] used to wear his clothes above the ankles! The issue of Isbaal (wearing one’s clothes below the ankle is a well known Sunnah, rather an order of the Prophet -peace be upon him. The stance of the Sunnah Muslims is clear and their are sticking to the order of the Messenger of Allah -peace be upon him- and are known (at least their scholars and students of knowledge) to follow this Sunnah and thus wear their clothes, garments, trousers above the ankles. 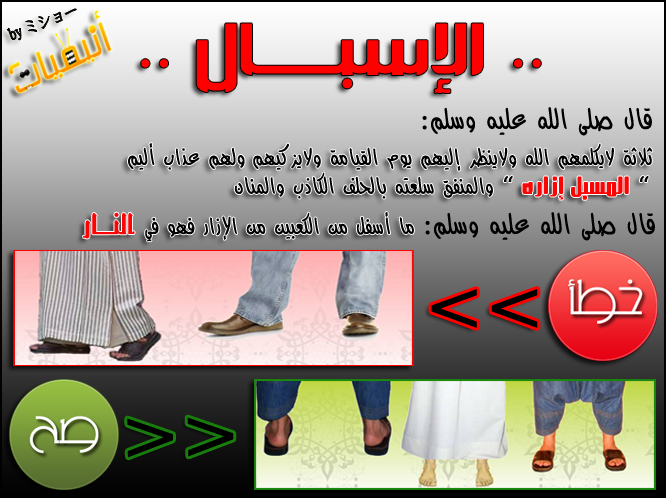 Ruling: The Sunnah of the Prophet -peace be upon him- is to wear ALL clothes ABOVE the ankles. This is an established fact in the Sunnah, backed by Sahih Ahadith. Now since those who do not practice and some amongst them who even mock this Sunnah (by calling it a “Wahhabi” thing) CLAIM to be upon the path of the Ahl Al Bayt (unlike the “Nasibi, Sunnis, Yazidis), then let us see what the Ahl Al Bayt in this case Ali -radiyallahu anhu- has to say, then every truth seeker himself can decide WHO in fact is upon the teachings of Islam, the Messenger and the Ahl Al Bayt. “This means to purify AND SHORTEN your garment”. عن شبيكة قال : رأيت عليا يأتزر فوق سترته ويرفع ازاره الى انصاف ساقيه . Manaaf Aal Abi Talib by Ibn Shahr Aashub, vol 1, page 365. Conclusion: Ali was upon what the SUNNAH Muslims of today are upon (BOTH did NOT let their garments, Izar, trousers etc. 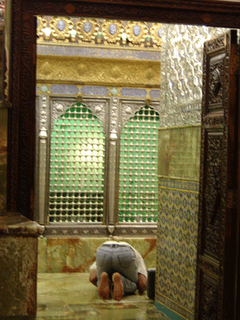 hang BELOW the ankle), and those who CLAIM to follow Ali [RA], actually not just those who claim to follow Ali [RA} but even those who call themselves “Ayatollahs” and “scholars of the school of Ahlul-Bayt” are OPPOSING Ali and are absolutely not KNOWN to follow the Sunnah of wearing the clothes ABOVE the ankle). Hence= Ahl Al-Sunnah is Ahl Al-Bayt and Ahl Al-Bayt is Ahl Al-Sunnah. The first nation ever to shave their beards was the nation to whom Allah the Almighty sent Sayyiduna Lut , the people of Sadoom ( Sodom). The Prophet of Allah mentions in a Hadeeth 10 points of nature. Out of these ten, he mentions is the lengthening of the beard. Hassan Al Basri reports a Hadeeth that the nation of Lut was punished for 10 sins they committed; the Prophet mentioned ‘trimming the beard’ from the 10 sins. So the the issue of the beard is not to be taken lightly as some Jahala (ignorants) do. The scholars point out that this is a CLEAR-CUT proof that HARUN had a LENGHTY beard since you can’t seize a beard unless it is long (and certainly you can’t seize the two-day-old beards of most Shia scholars). So now you can Imagine what some Zanadiqa (heretics) would call Harun and Moses IF they would have seen them today. No doubt they would call them “Wahhabis”. There are many Ahadeeth, which clearly state the above. Primarily the famous Hadeeth narrated on the authority of ‘Abdullah Ibn ‘Umar and others that the Prophet ordered us to lengthen our beards. This Hadeeth has been narrated with six different words, all of which refer to lengthening the beard and leaving it alone without interfering. This is why in the Shariah (Islamic law) if one was to shave the beard or trim it to less than a fist length then he will be sinful. As for the Prophet -sallallahu ‘alayhi wa sallam- his beard was dense and massive, and would cover his chest. The Sahaba realised, by the movement of he ’s beard, that the prophet would recite from the Holy Quran in Dhuhr and Asr. Needless to say that Ali Ibn Abi Talib the lion of Allah had an epic mane like a lion. His beard was spread in width covering the area between his shoulders. 3. 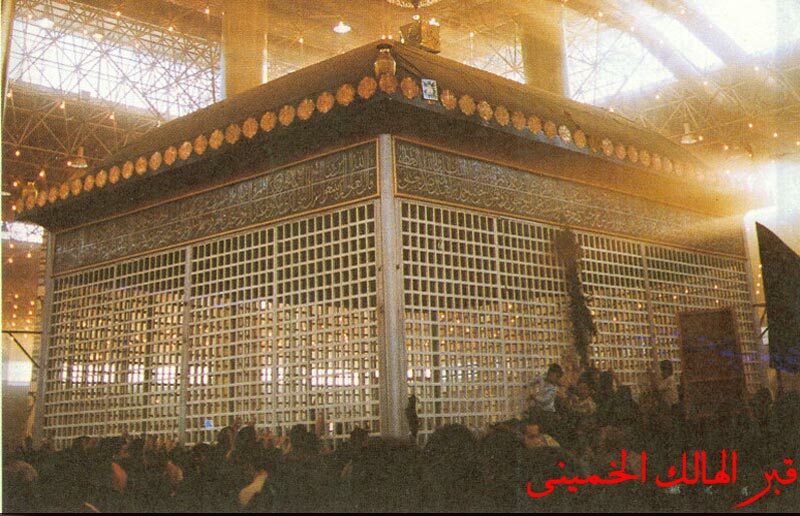 Amir Al-Mumineen Ali Ibn Abi Talib [RA] and the grave/shrine isse. 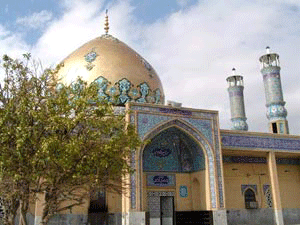 Another major religious institution in Iran is the shrine. There are more than 1,100 shrines that vary from crumbling sites associated with local saints to the imposing shrines of Imam Reza and his sister Fatima in Mashhad and Qom, respectively. 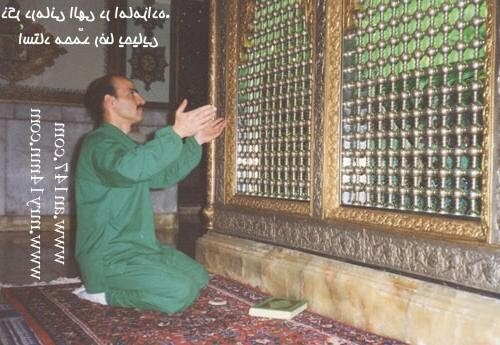 More than THOUSAND shrines of “Imamzadahs”! So they don’t make business with the shrines of their infallibles only, but on top of it with THOUSANDS of descandants of the Imams. 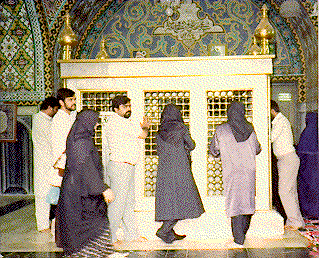 As you can see, this is the Shrine of “Imamzadah Saleh” one of the alleged endless “descendants” of Imam Musa Al Kadhim (7th Imam). The pictures speak for themselves i.e. this is to what exaggeration leaves to in EVERY pagan cult (Sujud to the grave!) and THIS is why the Sharia (the Sunnah, not the Rafidah) is strictly agains EVERY sort of exaggeration with Prophets – peace be upon them all – let alone with non-prophetic righteouss men. It is well known that the Messenger of Allah Muhammad – sallallahu ‘alayhi wa sallama – warned his people and Islamic Ummah NOT to exaggerate with him like the pagans did with their leaders. Yet we see a people, who went into extreme with the FAMILY of the Prophet and even with the DESCANDANTS of the FAMILY of the Prophet – peace be upon him. The produce of this Ghuluw is more than obvious and just for your information dear reader, this “Shrine” alone is one among more than a DOZEN of shrines just in and around Tehran (among them are: Imamzadeh Qasim, SHAH ABDUL AZEEM, Imamzadeh Hamza, Imamzadeh Tahir, Astana Bibi Shehr Bano, Imam Zadeh Dawoo and many more! They have managed to gather all sorts of deviance in one place! 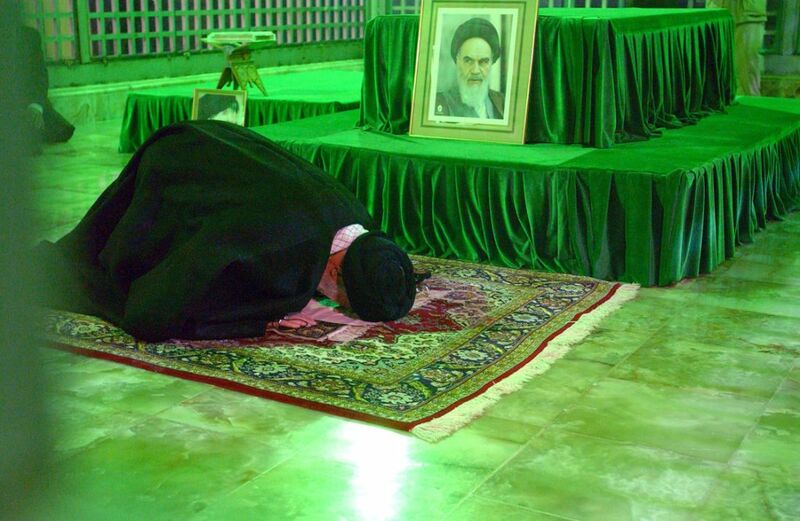 Praying in a Masjid which was SOLELY erected for the grave of Khomeini (a practice accursed by the Prophet), haning up of Images (Khomeini) INSIDE a Masjid and Shrine (a practice forbidden by the Prophet), doing Sujud on a grave (forbidden by the Prophet), PRAYING next to a grave (a practice accursed by the Prophet in the CLEAREST manner). 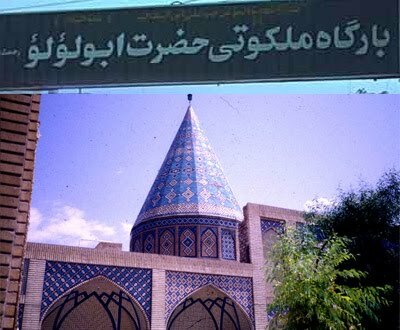 A street banner, showing you the path to “Abu Lo’lo” ALAYHIS-SALAM”!!! 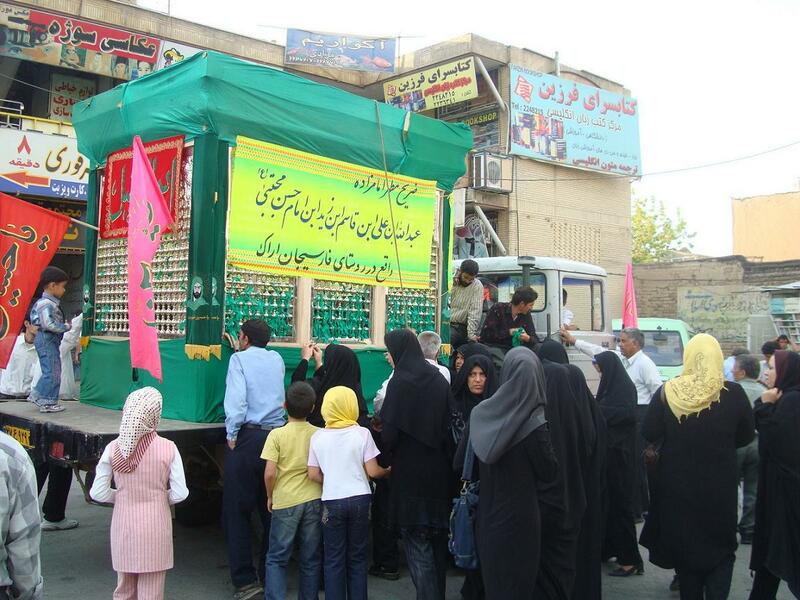 They literally ripp-off INNOCENT Shias (who indeed have good intentions i.e. love for the Ahl Al-Bayt) and as you can see people are encouraged to do “Tawassul” (in fact ISTIGHATHA Bighayri Allah i.e. DUA/WORSHIP to others than Allah UNDER the EXCUSE of Tawassul), throw money INTO the Shrine AND to buy “Nakheels” (green ribbons) to make a wish and knot them BACK to the shrine. Again ALL sorts of heresy, paganism and superstition i.e. EVERYTHING Islam came to EXTINGUISH at ONE place, at ONE time, revived by these grave-business charlatans and on top of it in the NAME OF “following the school of Ahl Al-Bayt”!!! This is not due to them being “Wahhabi” and followers of “Muhammad Ibn AbdilWahhab” in fact, Muhammad Ibn Abdilwahhabs ruling, opinion or the opinion of EVERY man is rejected (if not based on proofs) EXCEPT the ruling of the Messenger of Allah – peace be upon him -. So we compare the action of every man (also Muhammad Ibn Abdilwahhab) with the Sharia of Al Islam and we find him (Ibn Abdulwahhab) to be not just upon the path of Muhammad – sallallahu ‘alayhi wa sallam – but also upon the path of the Ahl Al-Bayt – ridhwanullahi ‘alayhim -. And from them from Sahl from Ja`far b. Muhammad al-Ash`ari from Ibn al-Qaddah (?) from Abu `Abdillah عليه السلام. He said: Amir al-Mu’mineen عليه السلام said: The Messenger of Allah صلى الله عليه وآله sent me to tear down the graves and break the images. 6615] 8 ـ وعن علي بن إبراهيم ، عن أبيه ، عن النوفلي ، عن السكوني ، عن أبي عبدالله ( عليه السلام ) قال : قال أمير المؤمنين ( عليه السلام ) : بعثني رسول الله ( صلى الله عليه وآله ) إلى المدينة فقال : لا تدع صورة إلا محوتها ، ولا قبراً إلا سويته ، ولا كلباً إلا قتلته. ورواه البرقي في ( المحاسن ) عن النوفلي ، مثله. 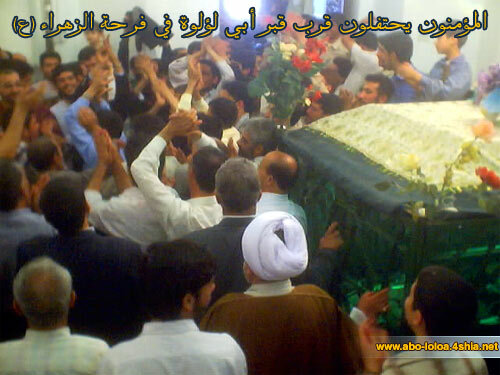 8 – And from `Ali b. Ibrahim from his father from an-Nawfali from as-Sakuni from Abu `Abdillah عليه السلام. He said: Amir al-Mu’mineen عليه السلام said: The Messenger of Allah صلى الله عليه وآله sent me to Madina, and said: Do not leave an image but that you have effaced it, nor a grave but that you have leveled it, nor a dog but that you have killed it. And al-Barqi narrated it in al-Mahasin from an-Nawfali likewise. 9 ـ محمد بن الحسن بإسناده عن الحسين بن سعيد ، عن النضر بن سويد ، عن القاسم بن سليمان ، عن جراح المدائني ، عن أبي عبدالله ( عليه السلام ) قال : لا تبنوا على القبور ولا تصوروا سقوف البيوت فإن رسول الله ( صلى الله عليه وآله ) كره ذلك. أحمد بن محمد البرقي في ( المحاسن ) عن أبيه ، عن النضر بن سويد ، مثله. وعن يوسف بن عقيل ، عن محمد بن قيس ، عن أبي جعفر ( عليه السلام ) ، مثله. Another “Wahhabi” we guess! This narration is 100% in line with the one in Al-Sahihayn, the ones were the Prophet – sallallahu ‘alayhi wa sallama – AND Ali – radhiyallahu ‘anhu – ordered basically the very same which is EXACTLY the opposite of what the scholars of Rafidah preach and do and encourage. On top if it, the narration is AUTHENTIC the narrator are thiqah (trustworthy). and there are loads of these narrations, where the Ahl Al-Bayt ordered NOT to raise graves (LET ALONE SHRINES!) and to level them etc. i.e. EXACTLY what the evil “Muhammad Ibn Abdilwahhab” has done. 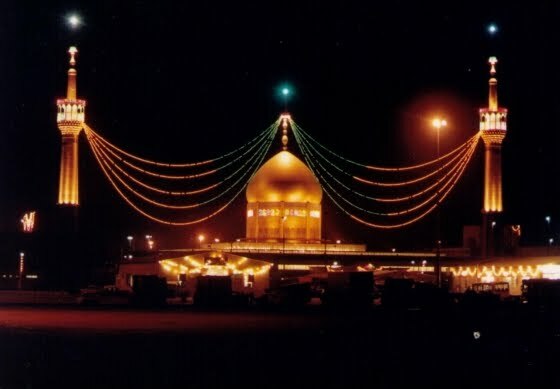 وبإسناده عن الحسين بن سعيد ، عن النضر بن سويد ، عن القاسم بن سليمان ، عن جراح المدائني ، عن أبي عبدالله ( عليه السلام ) قال : لا تبنوا على القبور ولا تصوروا سقوف البيوت ، فإن رسول الله ( صلى الله عليه وآله ) كره ذلك . Abu Abdillah – ‘alayhis-salam said,” Do not build upon the graves and dont decorate the roofs of houses because the Messenger of Allah – sallallahu ‘alayhi wa sallam – hated this. “The prophet (sallalahu alayhi wa ala alihi wa salam) said: “Don’t take my grave like place of worship or “Kibla”, Allah cursed jews which build Mosques over graves of their prophets”. The very same narration is well known in the two Sahihs! The difference is: Muslim Sunnah scholars ACT upon these Ahadith and Shia Rafidah scholars to so called “followers of Ahl Al-Bayt” not just abondened these beautiful narrations, rather they did exactly the opposite, it’s like them being alergic to Ahadith which are based on Tawheed and Anti-Superstistion and gravebusiness. Conclusion: According to Sunnah Sahih Ahadith AND Shia Sahih Ahadith, and even the opinion of classical Shia scholars like Al-Toosi the graves of EVERY muslim should be leveled, there is no exception mentioned for Prophets or Imams or whatsoever. In fact the prohibition for the graves of Prophets, Imams of Islam is more severe then for non-Prophets, Imams, scholars, since what is more likely to occur, that the people exaggerate with the grave of unknown persons or with Prophets etc.? obviously with the later, that is why the Sharia of Muhammad – sallallahu ‘alayhi wa sallam – is the most perfect Sharia that closed even the tiniest hole that might lead to Ghuluw and superstition. Ali Ibn Abi Talib and the entire Ahl Al-Bayt would have done exactly the same as Muhammad Ibn Abdul-Wahhab and what Islam teaches, i.e. leveling the graves (let alone shrines! 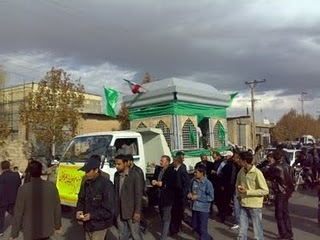 ), yet their so called “followers” and “lovers” are busy since almost a decade to protest and mourn over the “destruction” (in fact they were only leveled according to the Sahih Ahadith) of the shrines of Imam Al-Hassan, Baqir, Sadiq, Zayn Al-Abidin (obviously they don’t care the leveling of the Sahaba graves AT ALL!) by Ibn Saud in 1925 (NOT by Muhammad Ibn Abdulwahhab). Even a KING, a non-scholar is upon the teachings of the Ahl Al-Bayt, yet those who CLAIM to love and follow them do exactly the opposite of what the Ahl Al-Bayt has ordered, and all they do is to mourn over the lost SHRINES in the Baqi cemetry of Saudi Arabia which were bulldozed according to the sayings of the Ahl Al-Bayt. This entry was posted in Ahl Al-Bayt = ASWJ, Aqidah & Fiqh (Sunnah) explained, Merits of ahlel-bait, On the authenticy of Shia texts, Take a few minutes to think on this and tagged tabarruk&graves by Gift2Shias. Bookmark the permalink. Large Belly?? Seriously?? Imam Ali (as) was, amongst other things, one of the best warriors, do you really think this is how you would describe a warrior’s physique like? Think about it. Hadith Ali is with Quran not in the bukhari or muslim. Same about hadith that his position is like surah ihlas. Do not lie. Did the first three Khulafa Rashadin cause bidah ( innovation ?) as accused by Shia madhab. Jazzakallah kahir excellent thank you brother, I have another question that needs attention. Our Shia brothers say in ch 5: 6 with regards to Wudu that feet are not washed but only wiped therefore the al sunnah are doing bidah? all site data is fake . soon allah throw u in fire of hell ..inshallah ameen..n i know u r big enemy of islam…… LISTEN ALL READER CAREFULLY “FOLLOWER OF IMAM AII A.S ARE RIGHT ON THEIR PATH WAY. ONE MORE THING IF U REALLY LOVE TO PROPHET S.W THEN WHY DO YOU HATE FROM PROPHET MOHD S.W FAMILY??? IS IT FAIR?? Sijda is only allowed to Allah; if somesone as you mentioned are doing sijda to tomb are ignorant. As per Allah’s Holy Book Quran, Prophet (PBUH) and Suhaba we must not do sijda to anyone except Allah. Allah may give wisdom to those who commit such illegle act. Let’s not make ourselves in groups; I always simply say I believe on One Allah, Prophets, Angels, Holy Books, Day of Judgement and everything which was advised us to do by Quran and Hadeth. I humbly appeal our Shia Brothers not to speak against Suhaba particularly those Suhaba who were declared in Prophet’s Life they will entered in Jannah and Prophet (PBUH) advised us not to speak or blame his Suhaba. Be more polite and do not use impolite language. Regarding beard size…what about the beard of ehsan elahi jahir? Is it wahabi size?If u want the ISLAH of the ummah,don’t use filthy language which is rohibited by RASOOLALLAH[SAWS].Do u want to close the door of ISLAH? It’s a deed of IBLIS. FILTHY AND CRUDE TALK WAS PROHIBITED BY RASOOLALLAH [SAWS].DON’T BECOME A PRY TO “IBLIS”. 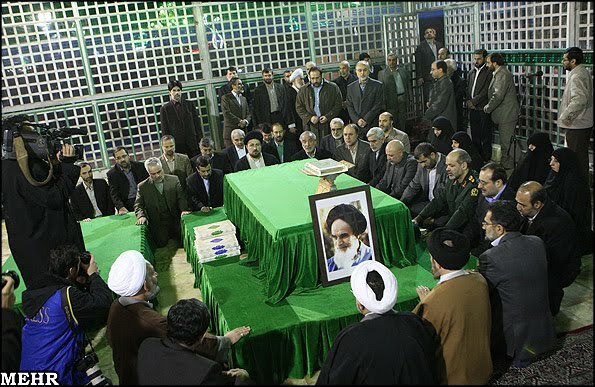 Why ur hating the shiyane ALI ?Are not they our brothers?Then how can U invite non muslim brothers towards ISLAM? I cannot under stand the hatred between u both.JUST ONE THING IS CLEAR…THE WAR BETWEEN IMAM HUSSAIN AND YEZID IS YET NOT CONCLUDED.THE FIGHT BETWEEN TRUTH AND FALSEHOOD WILL CONTINUE UNTO THE QIYAMA. SAZDAA IS DECLARED HARAAM…TO OTHER THAN ALLAH by RASOOLALLAH [saws]. ONE CAN KISS HIS PARENTS FEET IN LOVE AND REGARD.THERE IS WAST DIFFERENCE BETWEEN KISSING FEET AND SAZDAA.IN SAZDAA ALL UR 8 PARTS OF UR BODY SHOULD TOUCH THE GROUND. i.e….1.FOREHEAD.2.NOSE.3.TWO PALMS OF UR HANDS.4. TWO KNEES.5.TWO FEET.TOTAL 8 PARTS. IF ANY PART IS NOT TOUCHED,UR SAZDAA IS INVALID…ACCORDING TO SHARIYA. This is a very informative and well researched piece of article. May allah be pleased with the writer of this article. Curse be upon you all, may allah destroy your gone and coming haram children actually of shaitan… Dushmane.Ahlebait A.S par Allah ki lanat ho…..
^Typical rabid Rafidi, when being exposed he/she/it goes wild. Whats shocking is that according to this article, Imam Ali had a large belly??! !…astaghfiruLlah…this means to say he ate more than his body could handle? which is the result of obesity. He was not born a kafir like the other sahaba, nor was he an alcoholic, nor did he over-eat. Final point about wearing clothes above ankles, it says the man saw Imam Ali with his clothers covering half of his leg. In case you did not know, your foot is part of your leg, which includes your thigh, calf, ankle and foot. Half of your leg is your knees, so start wearing shorts. 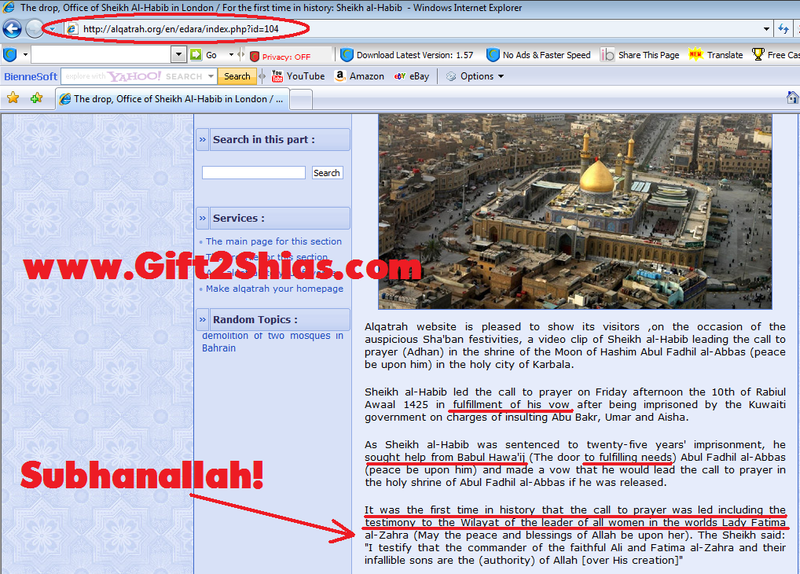 One more point, all of the pictures of our Shia scholars on your website, show men with beards. Where did you learn? What’s wrong with having a large belly?! He was one of the strongest Sahaba and had a HUGE THICK beard (unlike most of Shias with their trimmed metrosexual ‘beards’). I think you are mistaken the REAL Ali (RA) with the transexual Persian that your ‘Ayatullahs’ encourage you to hang up everywhere. Also there were other Sahaba too who were born NON-Kuffar (Abdallah Ibn Abbas, and Abu Bakr never worshipped idols etc.). As for cloths above ankles, we don’t need your ta2weel there are CLEAR-CUT Shia hadith forbidden it, it is just your BIASED scholars who in their opposition with Sunnis have abondened many Sunan (plural of Sunnah), and then they have the audacity to call themselves ‘true Sunnis, followers of the progeny of the Prophet’!